Understanding Christianity is a series of books published to provide the Christian reader with a clear and direct understanding of the Christian faith based upon what the Bible actually says. This volume, Salvation, includes such subject as the faith, peace, justification, redemption, sanctification, the new nature, and worship. 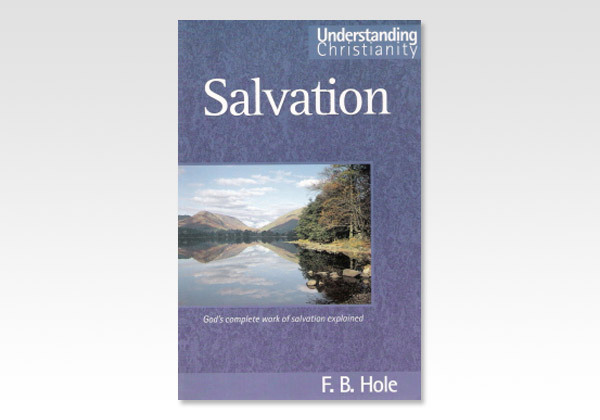 God always intended that His children should have a complete understanding of His salvation. This book helps us to do this. F.B.Hole was educated at the King's School in the Strand, London. He worked in the family business, then in banking before becoming a full time evangelist, teacher, writer and publisher. His writings have been valued by Christians all over the world. Dr. Billy Graham, on one of his early visits to London sent Mr. Hole his personal greetings and expressed his gratitude for his writing ministry. Other books by the same author: Understanding Christianity: Key Teachings, Rebuilding Zion, New Testament Commentary (4 volumes).